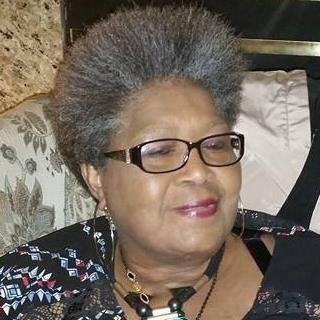 Obituary for Josie M. Bowden | Worley Funeral Home, Inc.
Mrs. Josie M. Bowden, 69, of 214 Finch Street, Clinton, NC passed on Thursday, December 6, 2018 at Southwood Nursing Center, Clinton, NC. The funeral will be held at 1 p.m., Saturday, December 15, 2018 at Olivet Institutional Baptist Church with Rev. Willie Bowden, Sr. officiating. The burial in Sandhill Cemetery, Clinton, NC. Mrs. Bowden is survived by her HUSBAND-Rev. Willie W. Bowden, Sr. of the home; SON-Rev. Willie W. Bowden, Jr. of Clinton, NC; SISTERS-Evangelist Mary Alice Lexic and Mary Beasley both of Sylvania, GA; BROTHERS-Joseph Oscar Johnson of Statesboro, GA, James Johnson of Sylvania, GA and Tommy Johnson of Sardis, GA; 2 grandchildren.